Tribhuvan University, Faculty of Law, Dean office has published entrance exam notice for 3 Years LLB program for the admission in its constituent as well as affiliated colleges for the academic year 2074/75. 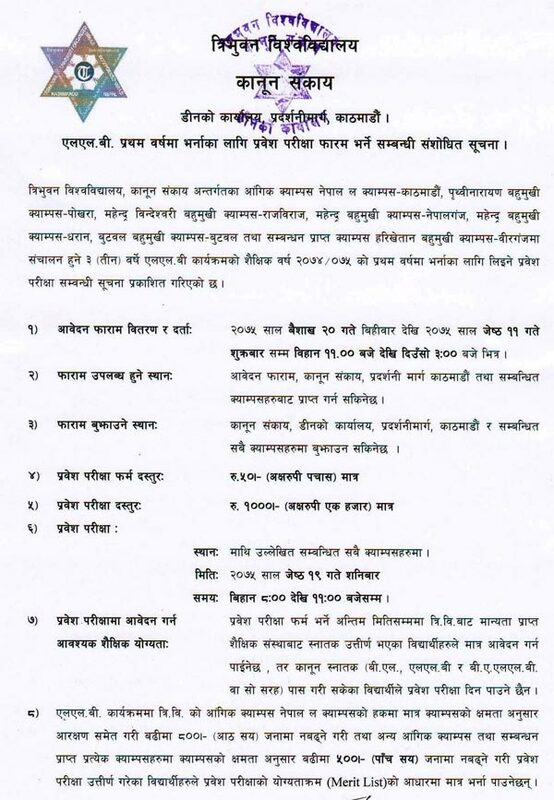 The exam form distribution starts from 2075 Baishakh 20 to 2075 Jestha 11 Friday, from 11 AM to 3 PM. The form distribution is from faculty of Law, Tribhuvan University and colleges running LLB programs. The entrance exam form fee is Rs 50.